Watch the Mauricio Rua vs Antonio Rogerio Nogueira 2 Full Fight Replay of the co-main event of UFC 190. 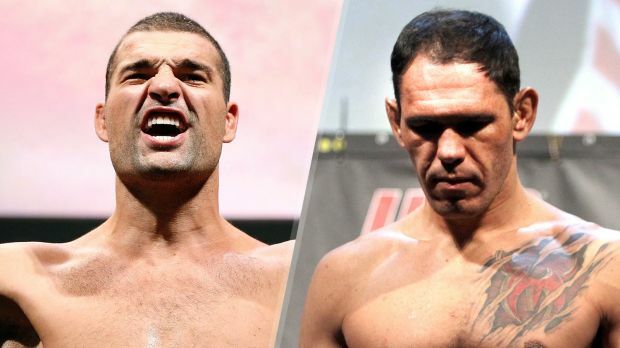 Mauricio ‘Shogun’ Rua entered this fight with a pro mma record of 22-10-0 (91% finishing rate) and he is ranked as the No.16 light heavyweight in the world but he comes off two consecutive losses, against Dan Henderson. Antonio Rogerio ‘Minotouro’ Nogueira, has a record of 21-6-0 (57% finishing rate) and he entered as the No.11 in the same weight class and he lost his last bout as well, against Anthony Johnson. Watch the fight replay here.